Have to write about one of my biggest pet peeves in the world: gun grabbers and their terminology. FACT 1: AR, as in AR15, does not mean “Assault Rifle.” It comes from Armalite, a brand of rifle. FACT 3: A thirty round magazine (not clip) is a STANDARD capacity for the AR15. As a matter of fact, most magazines are STANDARD capacity with the firearm they come with. I could spend all day listing the various calibers and firearms with what comes STANDARD from the manufacturer, but the point is, unless it is a drum magazine (beta-mag), they are not high capacity. FACT 4: There are nearly 100 times more people SAVED by the use of a firearm in stopping crime than by those who are killed or injured in the commission of a crime with a firearm used. Please learn facts before you start spouting off rhetoric you heard from Moms Demanding Action, Mayor Bloomberg, or the current administration. Our second amendment is vital for each and every one of us to protect ourselves, our families, and our liberty. 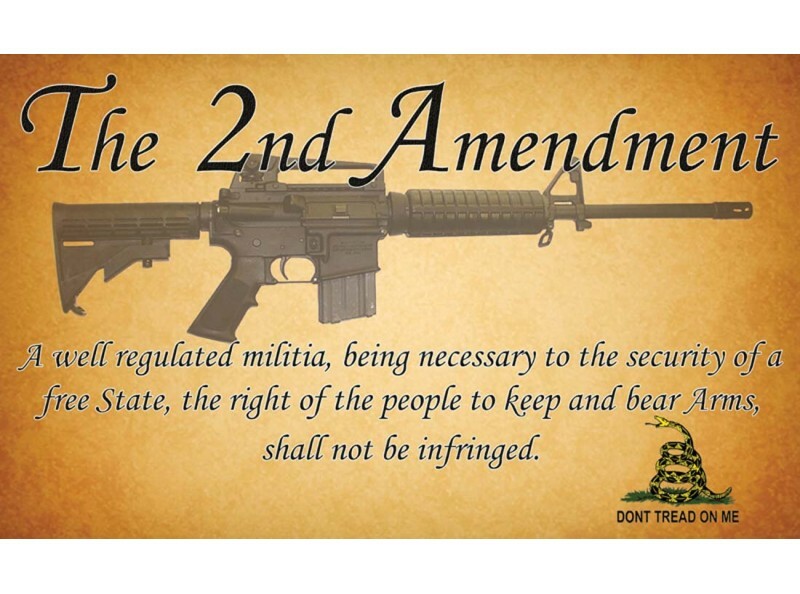 The founders knew it, and that is why it is number two in the Bill of Rights. It is no accident that they found it to be the second most important thing to address in the Bill of Rights.